The Pyramids of Cairo are in the bucket list of almost everyone in the planet. Cairo is full of images, sounds and different experiences. One day it might be chaotic and the other day you wonder why you haven’t been there earlier. 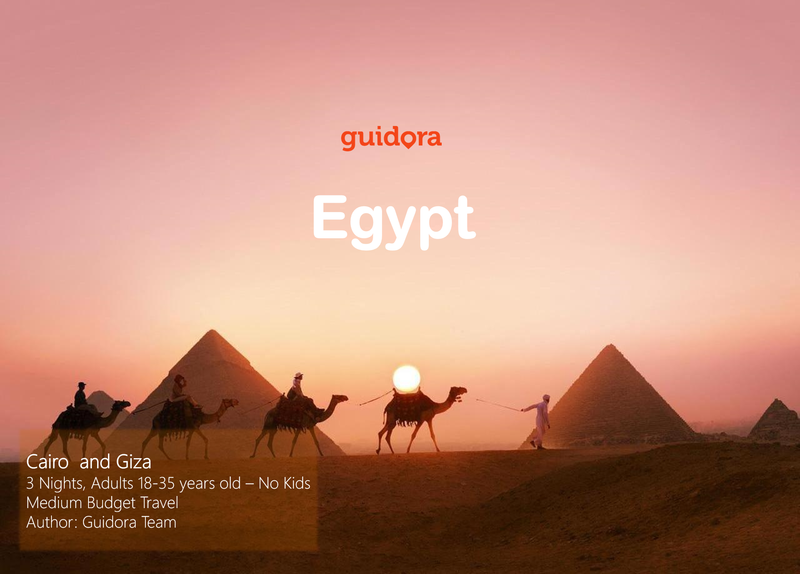 In this itinerary, we have put together the best of Cairo and the Giza Pyramids in 3 days. It will guide you on which hotel to stay, so as to have easy access to all the suggestions of the itinerary, it will give you information on the restaurants you should eat, on the prices, on how to move around Cairo and on the places you should visit in the night. This itinerary has only one and perfect suggestion for each hour of the day, so that you don’t get lost into looking for information. You just follow the travel itinerary plan and you will enjoy the best 3 days of your life in Tokyo. It will help you save time, save money and eliminate the stress from organizing your trip to Tokyo. It’s exactly like having your best friend there, guiding you around.